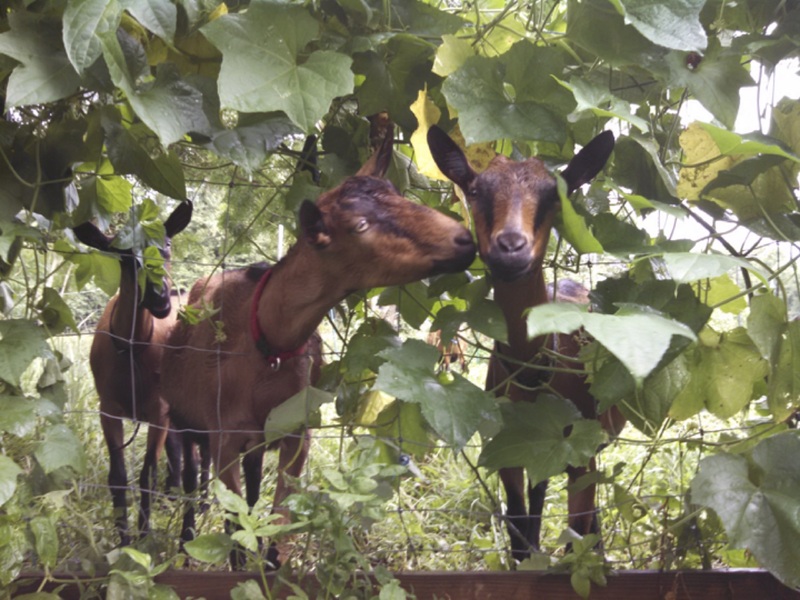 Brooksville, FL (JULY 10, 2015) For Certified Wildlife Friendly® agricultural producer Jean White of Hammock Farm Gourmet, allowing wildlife to flourish is as critical as caring for her cornucopia of pasture-raised meat goats, pigs, sheep and chickens. “We had a pig wallow full of [native] tadpoles I kept putting water into,” says Jean. Whenever Jean can encourage local wildlife to succeed in the face of Florida’s tide of invasive species, she takes action. 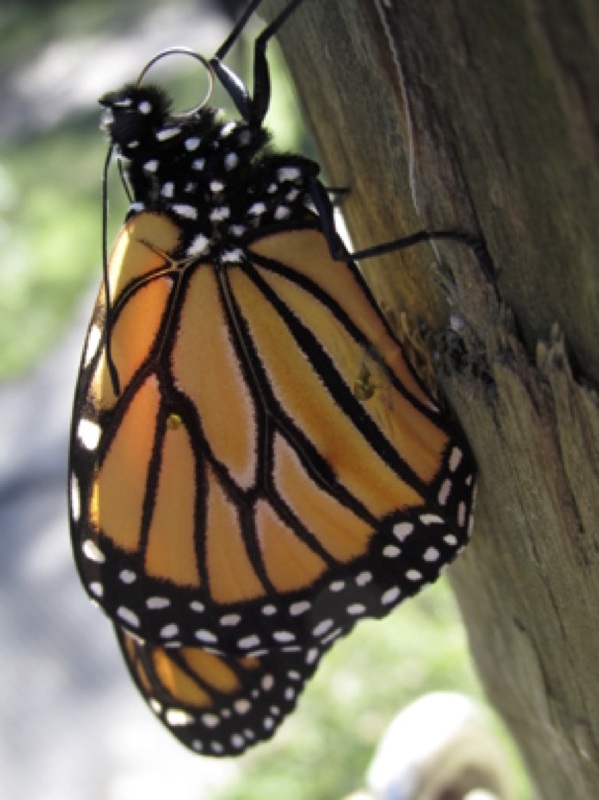 “We need to pay attention to all the little creatures,” says Jean, noting that she has a butterfly garden on the 22 acre property—which includes 7 acres of forest—and leaves stands of native plants, including elderberries and wild persimmons, to provide food and habitat for wildlife, especially birds. Larger wildlife also make use of the farm, which lies on the flight path between an eagle’s nest and its fishing spot. With avian predators, bobcats and deer as regular visitors to a creek that borders the property, acting to keep Hammock Farm Gourmet’s heritage breed animals safe from predators is an integral part of life on the farm. In order to protect her newborn kids and lambs, Jean keeps them in pastures nearby to frequent human activity. Chickens, which are on pasture during the day, are enclosed at night in a well-secured coop. Jean has also found that she has better success with Australorp chickens, a heritage breed with a larger body size with black feathers. Lightered-colored chickens, as well as smaller birds, appear to be preferred by hawks. 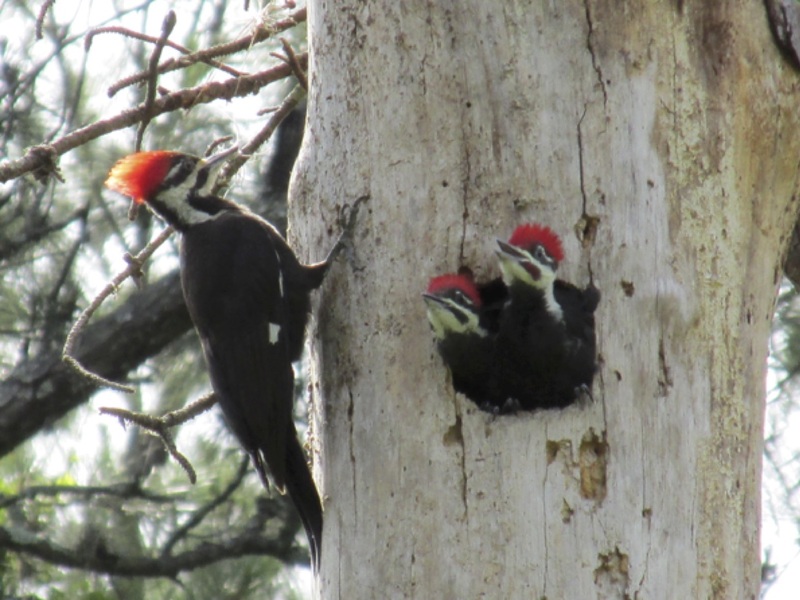 “We do our best to make sure we’re not inadvertently feeding the wildlife while still making sure they can pass through our property and go about their daily business,” says Jean. “In our state, the corridors for bears and panthers are on cattle ranches,” she says. “We need consumers to understand the connections between farming and conservation.” By gaining recognition for Hammock Farm Gourmet as a Certified Wildlife Friendly® farm, Jean is glad showcase how agriculture and conservation fit together. “I like really good meat. I like producing it for everybody else,” says Jean. Her goal is that Hammock Farm Gourmet showcase nature, farming, and people working together, each gaining an ample share. 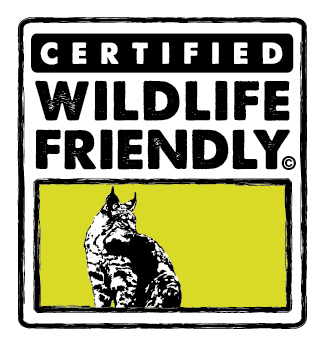 In addition to being certified as Wildlife Friendly®, Hammock Farm Gourmet follows organic principles and has gained recognition by the Animal Welfare Approved program, the nation’s “gold standard” of high-welfare animal care. Hammock Farm Gourmet raises heritage Oberhasli goats, Katahdin sheep, Berkshire pigs, and Australorp laying hens on pasture in Brooksville, Florida. By managing the animals in rotation, and using the foraging behavior of each species as part of a beneficial farm ecosystem, Hammock Farm Gourmet produces high quality meat in a healthy, low stress manner for its animals. Meat products, goat’s milk soap, and eggs are available for local pickup via the farm’s website www.hammockfarmgourmet.com or by calling 352-232-1606.